The lawyers said a memorandum/representation under Article 72 of the Constitution was sent through e-mail on behalf of Justice Karnan seeking “suspension/stay of his sentence of six months imposed on him” by a seven-judge bench headed by Chief Justice J S Khehar. The lawyers representing Calcutta High Court judge C S Karnan on Thursday claimed that a representation has approached president Pranab Mukherjee seeking suspension of the Supreme Court order sentencing him to six months imprisonment for contempt of court. The representation prepared by Justice Karnan’s counsel Mathews J Nedumpara and A C Philip referred to the developments since the May 9 judgement. His lawyers had earlier claimed that the judge had shot off letters to the president, the prime minister and others against his jail term. 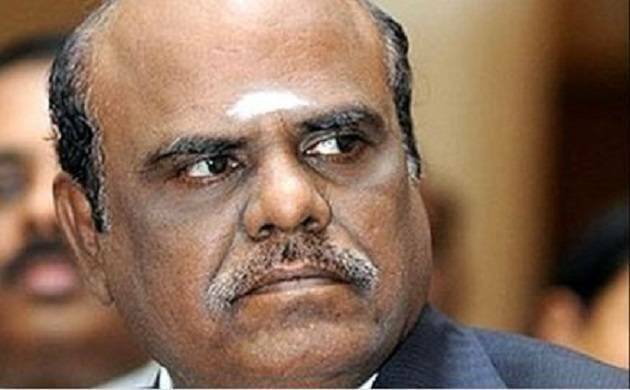 Justice Karnan has also moved a petition in the apex court seeking recall of the May 9 order but has been denied urgent hearing by the CJI.